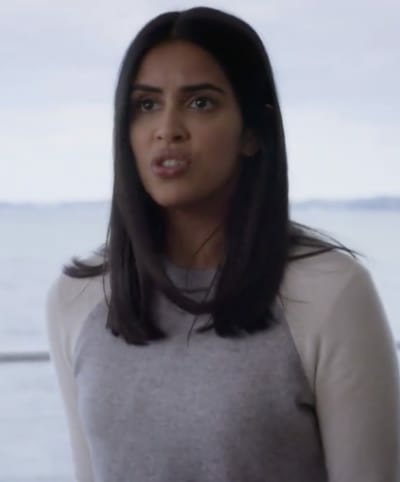 The wait for Manifest Season 1 Episode 10 is finally over. 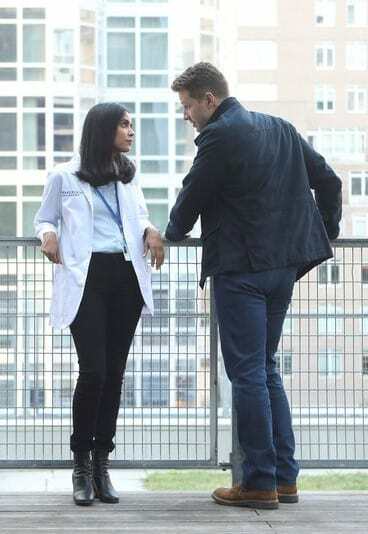 Manifest airs its first episode of 2019 tonight, and the stakes have never been higher. There's more to this mystery than meets the eye. Saanvi (Parveen Kaur) and Fiona (Francesca Faridany) are stunned to watch the connected reactions of the passengers. In an ominous scene, the group of passengers all makes reactions as though they're on a plane that's high in the sky experiencing something that could be turbulence. It's bizarre, but with the mystery finally picking up steam on this freshman drama, it could present viewers with some much-needed answers. Saanvi quickly decides that they need to bring all the passengers together as a matter of urgency, and we can't help but think she could be on to a winner. There has to be a reason why these select people disappeared for all of this time. It doesn't help matters that there have been some wild twists in their lives since returning. From passengers dying to planes exploding, things are pretty messed up. Also on tonight's episode, Ben (Josh Dallas) and Michaela (Melissa Roxburgh) find themselves on opposing teams as they each follow their own paths. Yeah, we're not so sure that's going to work out well! Have a look at the sneak peek below. What are your thoughts on the direction of the series? Are you on board? 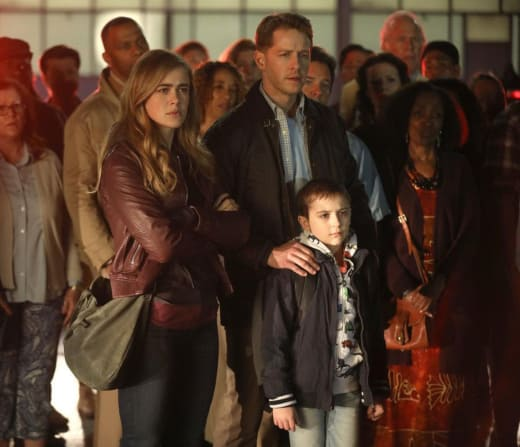 Manifest Season 1 Episode 10: "Crosswinds"